Finally, its here! I am launching the A. Lange & Sohne: The Pour le Merite Collection today! Press Conference at 3pm. The book launch is held in conjunction with Lange, who will be doing the Singapore introduction to the latest Pour le Merite: The Richard Lange Tourbillon Pour le Merite. 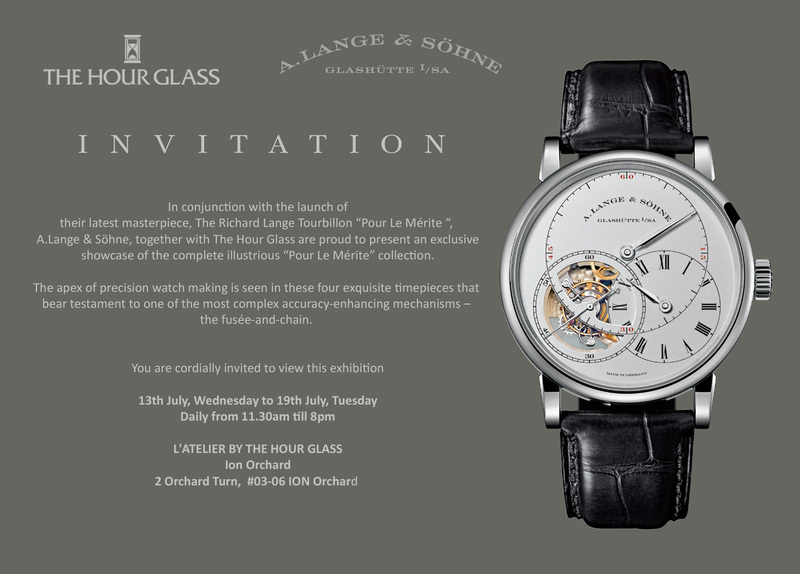 Following this, starting the next day, and in partnership with The Hour Glass a very special exhibition showcasing the entire Pour le Merite collection - all the watches in the collection will be shown, including the latest Richard Lange Tourbillon Pour le Merite as well as the original Tourbillon Pour le Merite and the Tourbograph and Richard Lange. I will also be doing my first solo photographic exhibition during the event, and will display 7 photographs reproduced as A1 sized prints from the book. These prints (and any others you may like to choose from the book) are made in an edition size of 10 for A1. Contact me at chongpATgmail for details. The exhibition runs from July 13 to 19 at the L'Atelier by The Hour Glass at ION Orchard. And I would like to invite all of you to please come and drop by. I will be at the exhibition as your personal guide every day of the exhibition from 5pm to 8pm.